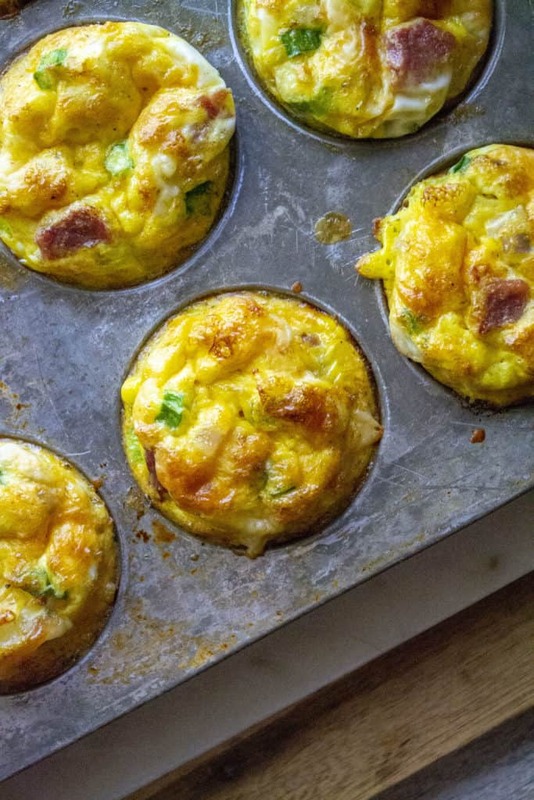 Breakfast Egg Muffins are the perfect low-carb Keto breakfast muffins to start your day. 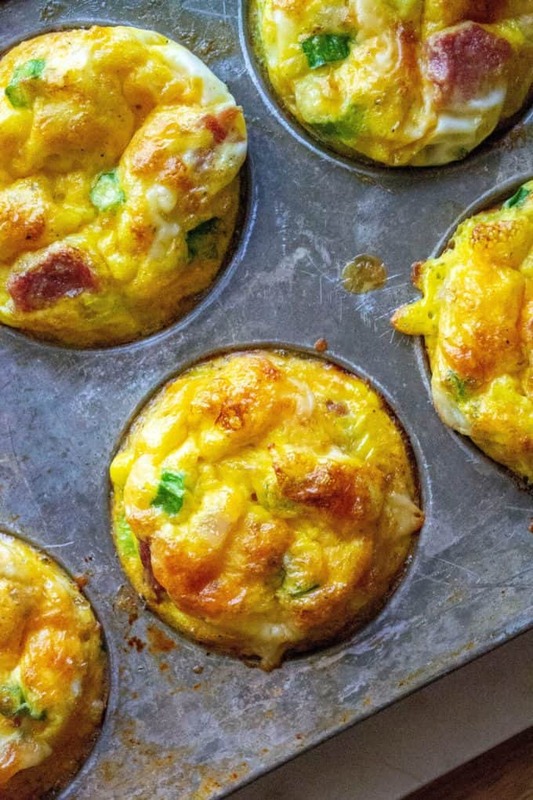 Easy to make, freezer friendly and completely customizable, these healthy egg muffin cup are the best Keto breakfast recipe to start your day. Here I am .. just a girl in love with her carbs. Unfortunently, carbs love me back so they have a tendency to stick around for a while. That being said, I am on a mission to break up with those dasterdly little carb monsters and start incorporating some easy, tasty low carb meals into my daily life. 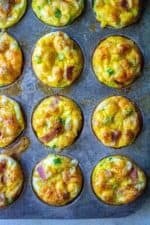 That all starts HERE with these super easy, oh my goodness tasty, low carb Breakfast Egg Muffins. Why do I love these little egg muffin cups so much? 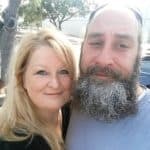 Well, let me tell you!! 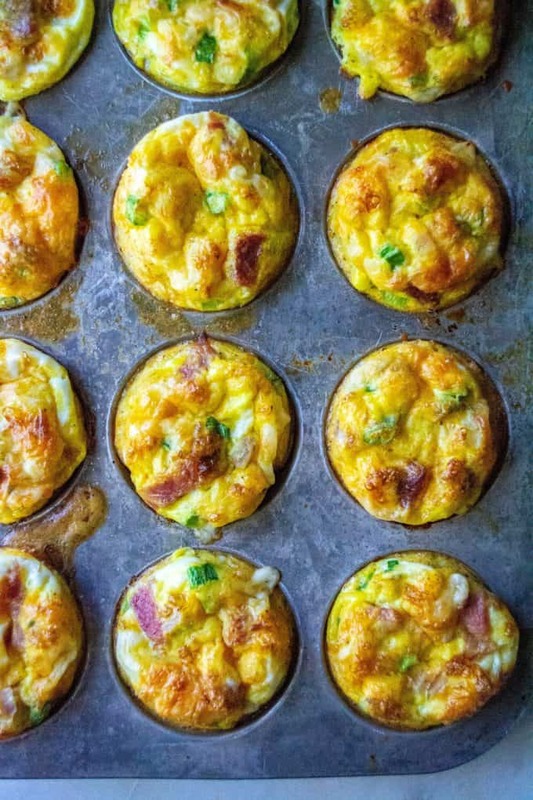 WHY LOW-CARB BREAKFAST EGG MUFFINS ARE THE BEST! Breakfast Egg Muffins are so easy to make. When I say they only take five minutes to whip up, I really do mean that. 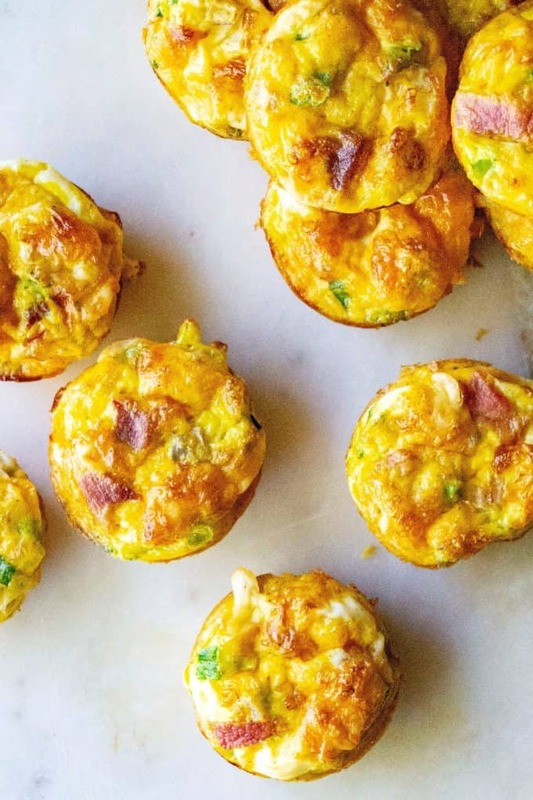 These Breakfast Egg Muffins are completely customizable. Like bacon egg cups? Add bacon! Want a meat free egg muffin? Leave it out! 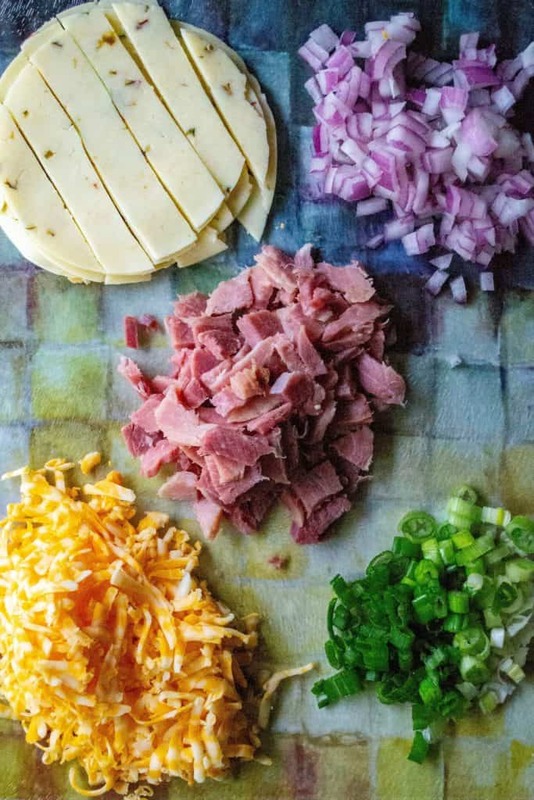 Want three kinds of cheese and ham, bacon AND sausage in your low carb breakfast? Yeah buddy … go for it!! 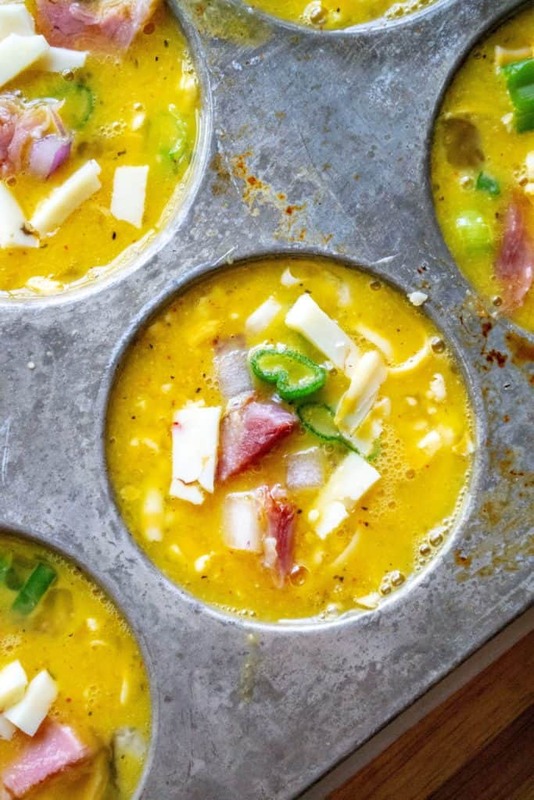 These Breakfast Egg Muffins are completely freezer friendly. Did I mention completley portable and convenient? Um… yes please! 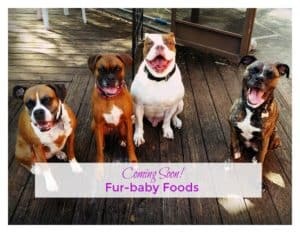 Plus kids love them and these is very little mess when dealing with those little ones.. no jelly to smear everywhere, no milk to spill… just yummy eggy muffin goodness. These little low-carb Breakfast Egg Muffins can stay in your refrigerator for up to a week and are also 100% freezer friendly. Want to go buck wild and make a ton of egg muffin cups one morning, wrap them up individually, throw them in a large ziptop bag and freeze them up to three months. Then, simply either thaw them out or microwave them 30 seconds (thawed) or up to 1 minute (frozen) until they are warmed through. 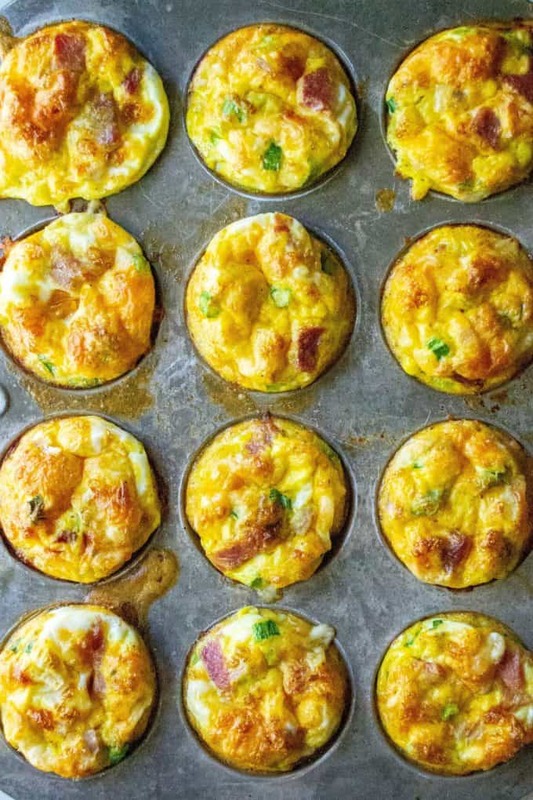 HOW DO YOU MAKE BREAKFAST EGG MUFFINS? Easy! To make these Breakfast Egg Muffins, start by preheating your oven to 375 degrees and spraying a 12 count muffin pan with non-stick spray. Crack your eggs into a medium sized mixing bowl or a large measuring cup, add spices and whisk to combine. 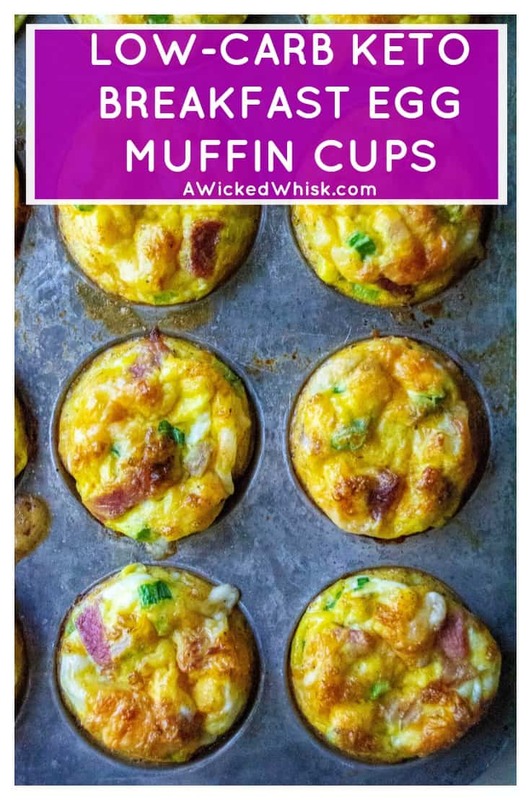 Turn your attention to the muffin pan and start layering your ingredients in the pan, leaving a bit of the ingredients off to the side to top your egg muffin cups at the end. Carefully pour your whisked eggs into the muffin tins about half way, let settle and then add a little more. You want your muffin tins filled almost all the way to the top. Once your muffin tins are filled, take a fork and lightly stir each of the muffin tins to mix everything together. 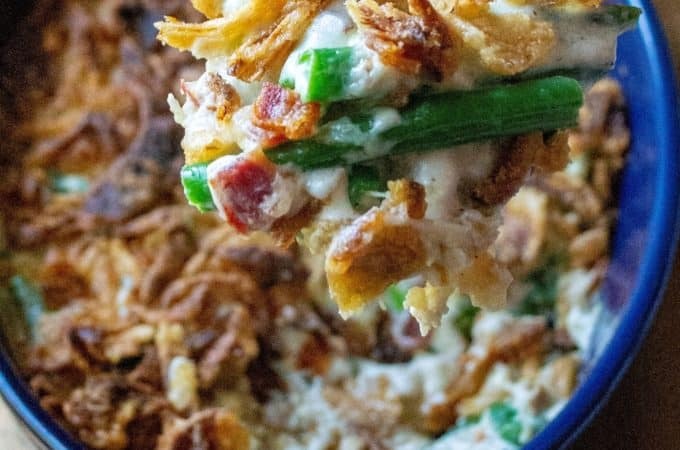 Top with reserved ingredients and bake for 25 minutes. Remove from the oven and let sit in the muffin tin for 1-2 minutes. Run a sharp knife around the edge of the muffin tins and gently remove from the pan, using the tip of the knife under the muffin the gently lift out. Mixing your eggs in a large measuring cup is a huge convenience. It’s not so easy pouring eggs out of a mixing bowl. If you have a large 4 cup mixing cup or larger, I definitley recommend add you eggs to that to make pouring them into the muffin tins easier. 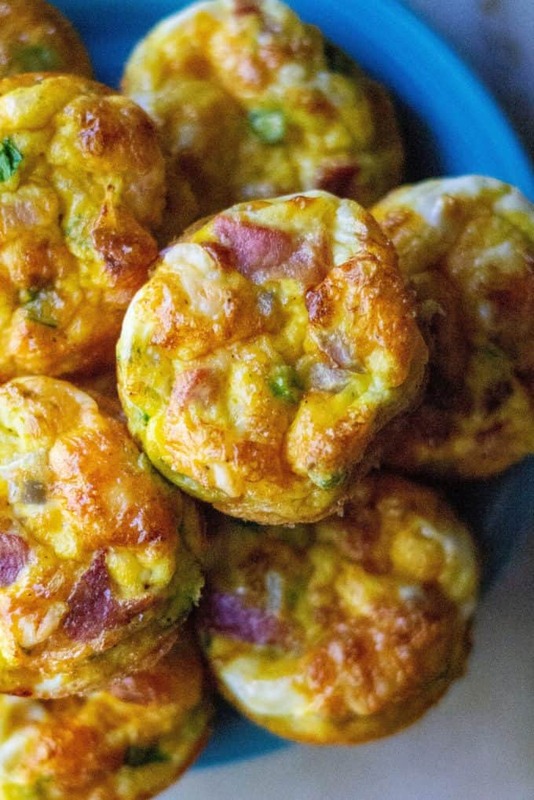 Go wild on those ingredients and try different ways of preparing these Breakfast Egg Muffins. Suggestions? Spinach, tomatoes, red and green peppers, sausage, bacon, ham, different types of cheese and veggies, jalapenos, cilantro, sun-dried tomatoes … the possibilities are endless! Remember to run your knife around the edge of the tins before trying to remove them and then lift them gently with the knife tip under the bottom of the muffin. The remove from the tin easily but they are still eggs so they need a little extra love. 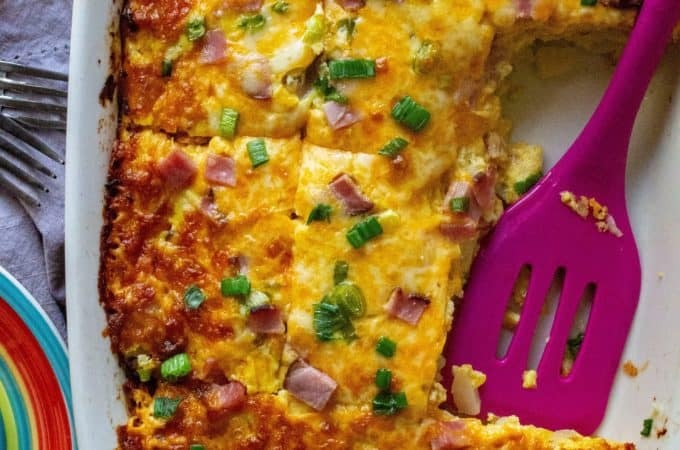 Looking for more easy breakfast recipes to share with your family and friends? Check a few of my favorite breakfast recipes below. MADE THIS RECIPE? PLEASE LEAVE A STAR RATING BELOW! To make these Breakfast Egg Muffins, start by preheating your oven to 375 degrees and spraying a 12 count muffin pan with non-stick spray. Crack your eggs into a medium sized mixing bowl or a large measuring cup, add spices and whisk to combine. 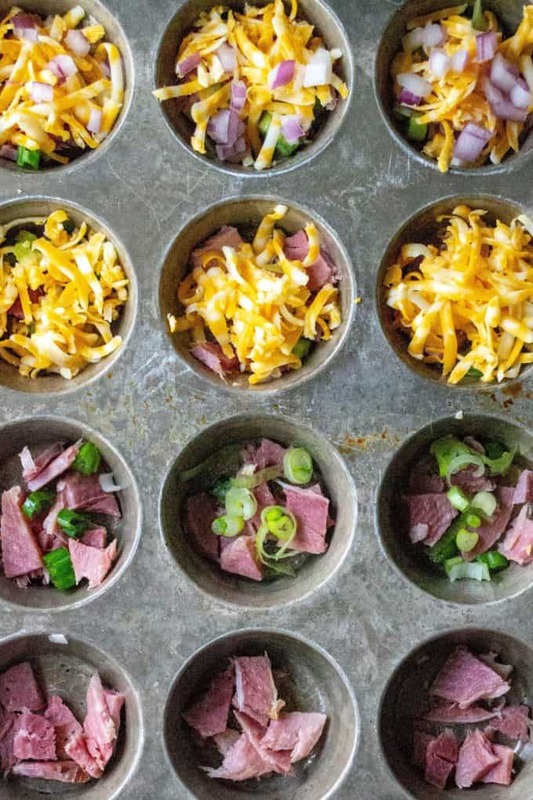 Turn your attention to the muffin pan and start layering your ingredients in the pan, leaving a bit of the ingredients off to the side to top your egg muffin cups at the end. Carefully pour your whisked eggs into the muffin tins about half way, let settle and then add a little more. You want your muffin tins filled almost all the way to the top. Once your muffin tins are filled, take a fork and lightly stir each of the muffin tins to mix everything together. 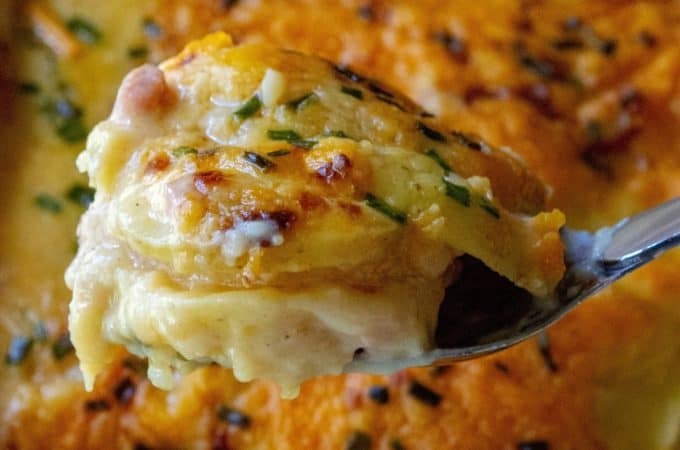 Top with reserved ingredients and bake for 25 minutes. Remove from the oven and let sit in the muffin tin for 1-2 minutes. Run a sharp knife around the edge of the muffin tins and gently remove from the pan, using the tip of the knife under the muffin the gently lift out.